Less is more at Apple. When I worked there, we joked that Microsoft believed perfection was achieved when there's nothing more to add. 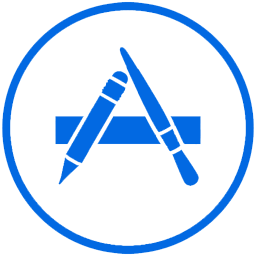 At Apple, we believed that perfection was achieved when there's nothing more to take away. When I bought the first iPhone, in 2007, I also purchased a third party acrylic case and soon after that I bought a screen protector. I quickly learned I didn't care for either one. In addition to adding weight, the phone case allowed debris from my pocket to get between the case and back of my iPhone, resulting in scratches on the phone. The screen protector didn't offer too much protection that wasn't already there since the iPhone screen is glass, which does not scratch, easily. I went caseless until the iPhone 4 and Antennagate, when holding the phone the wrong way would drop calls. To solve this issue, Apple gave away beautifully minimalistic bumpers which I happily used. 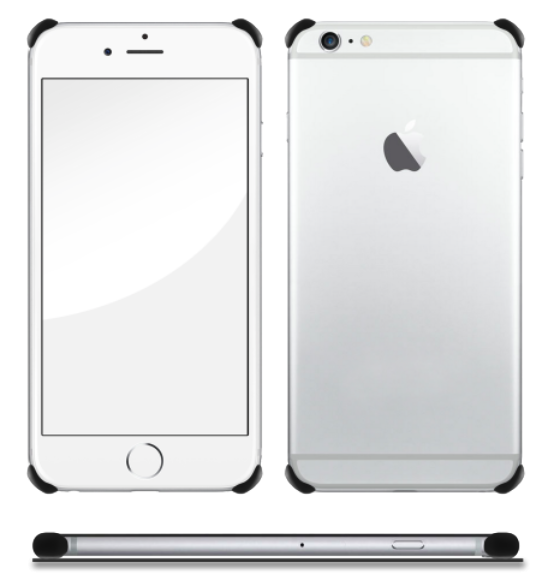 I tried to go caseless with my iPhone 6, but that only lasted two days. This work of art was simply too slippery to pickup and hold. Also, the camera on the back of the iPhone 6 sticks out such that it supports the phone when laid down making the lens prone to scratching. So, off to the Apple Store I went to buy Apple's leather iPhone 6 case. The case I bought definitely makes the phone easy to grip, plus it doesn't block any of the ports, speakers, or mic. However, it does add a bit of bulk and it makes it difficult to press the volume buttons. Fast forward to last night's Kickstarter meetup when an entrepreneur gave me the fruits of his Kickstarter campaign to try out: Bumpies. This minimalistic iPhone "case" is less intrusive than Apple's bumpers from the iPhone 4 days gone by. These Bumpies are small plastic nobs that attach to the corners of the iPhone using a non-damaging adhesive. The slick packaging includes an alcohol wipe to clean the corner before attaching the Bumpies. What's more is that the packaging is also functional. To install the Bumpies, I slid my iPhone into the packaging, which fit inside it like a Hershey's chocolate bar fits into its wrapper. The corners of the cardboard packaging exposes the corners of the iPhone to make it easy to properly align the Bumpies. The process couldn't be simpler. Another benefit of the Bumpies, besides a lighter phone, is that they slightly raise the phone, when it's laid down, making it easier to pick up and they also keep the phone from resting on its camera lens. Simplicity is the ultimate sophistication. Direct reports should never be blindsided by their performance evaluations, good or bad. Most companies hire employees "at-will," meaning either the employee or employer may terminate the employment relationship at anytime. However, when an employee isn't carrying his or her weight, the direct manager should try to correct the employee's behavior rather than ignore it. The best way to fix an employee's behavior is through formal counseling sessions. During these sessions, the shortfalls and expected behavior is explicitly noted. But, these counseling sessions must be constructive and set the employee up for success. You shouldn't only document bad performance, but also good performance, as it happens, for reference during his or hers annual performance review. Nevertheless, it's not easy to look a person in the eye and tell them they're not cutting it. I first encountered this situation when I was a second lieutenant in the Marines. As a new supply officer for an infantry battalion, I worked with a staff sergeant who didn't provide the expected level of customer service. 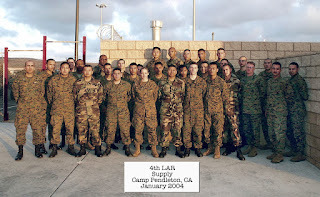 He was my direct report, with other Marines under him, and over the course of a year I counseled him numerous times following each incident of unacceptable behavior. The core of the problem was that he was focused inward, on taking care of our Marines, which is commendable; but he did it at the expense of our mission, which isn't acceptable. I frequently received reports from other staff NCOs and officers telling me what I already knew: he was immature, abrasive, and argumentative. The staff sergeant had an "us against them" attitude. He believed that others in our battalion were abusing our supply section. However, the real issue was a lack of understanding by others, outside of our supply section, about our policies and procedures. Unfortunately, rather than trying to educate others on how the system worked, he would simply reject their requests in a confrontational manner. Fast forward to a year later. I've been promoted to first lieutenant and he's been promoted to gunnery sergeant and it was time for his annual performance review. Until the late 1990s, written performance reviews, known as fitreps, were grossly inflated to the point that nearly all Marines were rated outstanding or, at the very least, excellent. Anyone who didn't do a good job was usually rated average because it was easier to "damn with faint praise" than rank a Marine below average. A below average performance review officially made the fitrep adverse which required additional paperwork that most Marine officers wanted to avoid. It's human nature to not want to spend a lot of time on people who provide little value. I discussed this issue with my peer officers when it came time for me to write up my annual review on the gunnery sergeant. We agreed that this Marine deserved an adverse report, but we felt it wasn't worth the extra paperwork. However, I couldn't bring myself to file the report as average. So, I filed it as an unsatisfactory fitrep, known as a "double signer" since it had to be signed twice. One signature for acknowledging the overall report, and the other signature to explicitly acknowledge that it was an adverse report. It wasn't that we hadn't discussed this possibility in the past, rather, he simply didn't think I would go through with it. During this annual performance review I showed him my documentation of the issues I had discussed with him, during the previous year. The documentation included a mock fitrep I had drafted up on him a few months earlier during a checkpoint counseling session. During that checkpoint session, I presented the below average mock fitrep to the gunnery sergeant and said, "If I had to file a fitrep on you, today, this is how it would be." We talked about it in detail, but, in the end, he didn't heed my guidance and he disposed of my notional fitrep. The other officers in the battalion deeply respected my decision to issue an adverse fitrep, including my commanding officer who was the reviewing officer – my CO fully agreed with my assessment. The outcome to this process was complicated, as I knew it would be, since we were deployed to the Persian Gulf. "Firing" him meant he would have to continue to work under me, since finding a replacement wasn't practical. Needless to say, it was awkward and uncomfortable to continue working together. And, since we never saw eye to eye on customer service, not much changed. It's one thing to fire someone and have them be gone; it's another thing to have to continue to work together on a daily basis. Something I liked about the Marine Corps, that is lacking in the corporate world, are candid evaluations when someone's not performing well. I've seen civilian managers, who had a problem with a direct report, complain about it to most everyone else in the office other than the employee with the issue. This behavior, on the manager's part is, at best, complaining and at worst, it's disingenuous leadership. For me, this was a learn-as-you-go process and there's no better teacher than experience. More importantly, this experience has paid dividends, many years later, by teaching me to empathetically deal with problem people head on in order to maintain a responsibility to the long term. The best part about 3D printing and laser engraving at the Central Library is it's free. I'm writing this in the Main Reading Room of the San Diego Central Library after touring their new Maker space. 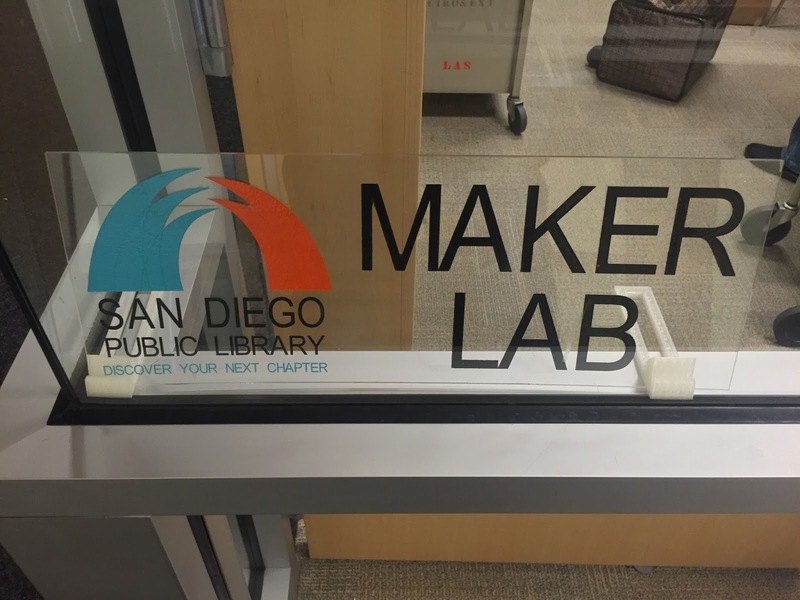 This library opened about two and a half years ago with commanding views of the Coronado Bay; and they've already outgrown their original Maker space consisting of a few 3D printers and electronic sewing machines. 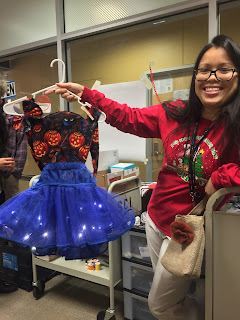 Now, they're ready for more Maker mentoring in their new location on the third floor. 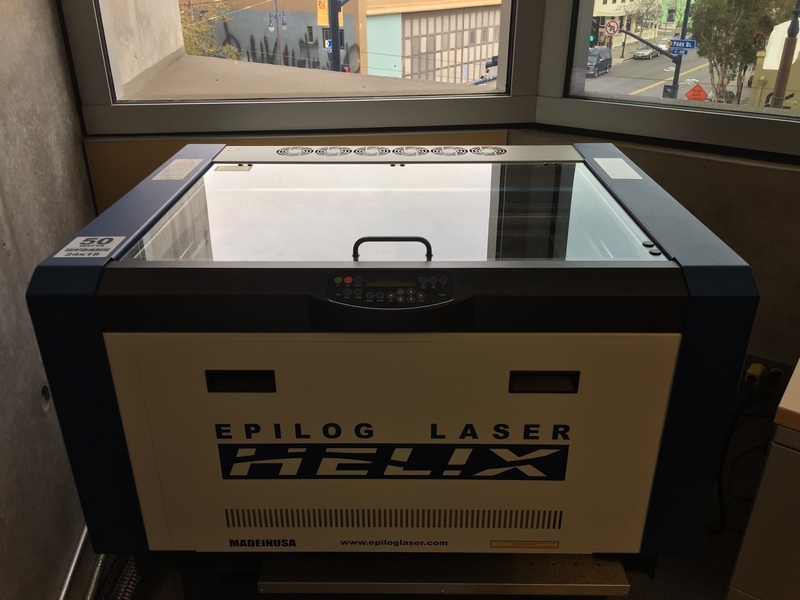 The library has recently procured additional Maker hardware including an Epilog Helix laser cutter and engraver. With 50 watts of lasing power, library patrons can cut and engrave most anything from cork and wood to plastic and glass. Through an agreement with the library, entrepreneurs can sell their wares on e-commerce sites like Etsy.com. But, innovation is not so much about the technology as it is about the people who make it happen. And, at the Central Library, that honor goes to San Diego's Emerging Technologies Librarian, Uyen Tran. She's worked at the San Diego Public Library for nearly15 years and her passion about about technology and its roles in libraries is contagious. What's the key to persuading people in public speaking and marketing pitches? It's much easier to convince a friend, who knows you, than a group of strangers who have to evaluate you on multiple levels. When speaking publicly, each individual in a group will size you up based on many things, starting with the facts. Are your facts indisputable? Otherwise your audience will conclude your logic is non sequitur. 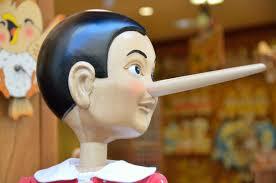 Every single fact must be true to instill confidence in others. "I like to tell stories and I think I'm good at it." Do you see what I did, right there? I put forth two indisputable facts; and I did it without being overly passive. While I may be a bad storyteller, I put forth my opinion that I'm good at it. I stated an opinion that might seem like a fact to a casual observer; but if someone digs deeper into my facts, they'll realize that my comments are actually opinions. "I think I am going to go to the store." "I decided I am going to the store." Active writing and speaking demonstrate a clear understanding of ideas and concepts. A key physiological ingredient to memory recall is adrenaline which is why people remember exactly where they were on 9/11. This "suddenness" is closely related to an epiphany, which I call bridging when it's used to get people from here to there. Bridging starts with stating points that are closely related to what you're trying to prove, convey, or convince. It's making a series of supporting statements that people don't realize are true. If you can convince someone to believe related facts they didn't know, then your opinions will carry more weight. For example, if I said, "The earth spins 1,000 mph," would you believe me? Is that really true? Sure, it's true, but most people don't realize it. All I need to do is help people think about it. The circumference of the earth is a bit under 25,000 miles. For easy mental math, let's say the circumference is 24,000 miles. Now, how many basic time zones are there in the world? Answer: 24, since there are 24 hours in a day. Crossing a time zone means adding or subtracting an hour. Simply divide 24,000 miles by 24 hours (24,000 miles / 24 hours) and you get 1,000 mph. Another way to think about this is each time zone is about 1,000 miles wide at the equator (time zones converge at the poles). The United States is about 3,000 miles wide; therefore, flying from NY to LA crosses three time zones and it requires adjusting our watches by three hours. Following good scientific method principles, I provided two examples to support my statement that the earth rotates at a thousand miles per hour. I gave you a fact which required a little convincing. And then I provided the supporting proof. From here, we move into asserting our opinions, predictions, or forecasts. Die hard makers (people who make products, like engineers) tend to be poor marketers and they will focus on a product's features instead of its benefits. Keep in mind there are many ways to say the same thing without being deceptive or misleading. Steve Jobs was great at highlighting benefits over features. Had the original iPod been marketed by another company, it might have been pitched as a 6.5 ounce MP3 music player that measured 4" x 2.4" x 3/4" and had 5 GB of storage. Even with an engineering background, I'd have a hard time figuring out how much music fits into 5 GB. 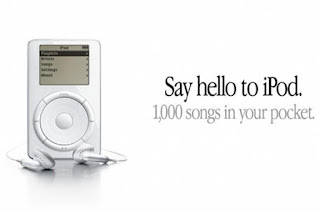 That's why Apple pitched the iPod as "1,000 songs in your pocket." New concepts are easier to understand if you put them in a familiar context. But, does this technique, which works on products, also work on people? Sure, but keep your message short when pitching to people and focus on the positive, not the negative. For example, you call a plumber who completes a job for you and tells you, "That will be $75. But, if you don't pay me within ten days then I'm raising the price to $100." Now, compare that with, "This will cost you $100, but I'll give you a $25 discount if I receive your payment within ten days." That's the key to marketing. State a relevant, indisputable, fact that people don't realize. Then simply explain how it's true, followed by your opinion piece with a positive call to action. I like the new Apple TV remote. Adding Siri to the remote flattens the navigation hierarchy. Simple voice commands like "Play jazz," "Rewind 20 seconds," "Turn on closed captioning," and "Play episode 3 of season 1 of Mad Men" make for a superb user experience. The remote has its own firmware and its powered by a sealed battery that's rechargeable through a Lightning connector. 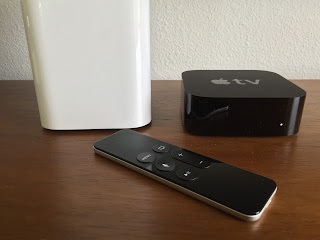 One thing I was wondering was why the remote has both infrared and Bluetooth since it seems only the latter is needed to communicate with the Apple TV. Then I tried raising the volume when the remote wasn’t pointed at the TV. The Apple TV LED flickered, indicating it had received the signal from the remote, but my TV volume didn’t change until I pointed the remote at it. I'm speculating that it seems that HDTV volume isn’t commanded by the Apple TV remote, as I originally thought, rather it’s controlled by a standardized IR remote signal beamed from the remote. Update: Here's my Twitter conversation to prove that I may not know exactly what's going on.